Arnold Mania: 'Ten' First Look + Schwarzenegger as 'Conan' Again! You have got to see this. There's two fun Arnold Schwarzenegger updates today to combine into one big Ahnuld update. First, the Schwarzenegger himself tweeted out a photo (via The Playlist) today, showing his new getup for the movie Ten. It's an action drama he's now shooting with director David Ayer (End of Watch) about DEA agents, and Arnold plays John 'Breacher' Wharton. But as Kevin J jokes, "it seems Arnie borrowed his latest cut from a vegan punk who's studying 16th century lit with a minor in philosophy, who also plays in an avant-folk band." Nice tattoos. But the more interesting news is that Deadline is saying Universal has picked up rights to a Conan the Barbarian reboot (again?) but with Arnold attached. Yep! The reveal of the new Conan project says that "Universal Pictures has made a deal for" The Legend Of Conan, which will supposedly bring Arnold back to playing Robert E. Howard's Conan the Barbarian character once again. Universal released the original 1982 film starring Schwarzenegger, and has brought this one back home. On-board to produce are Fredrik Malmberg, CEO of Paradox Entertainment who holds the rights to Conan, and screenwriter/producer Chris Morgan. They say they want it ready for summer 2014, and that "this is the version of the film that he and everybody else always wanted to see on the screen but couldn't while Schwarzenegger was Governor of California." Quite a claim, but this sounds good so far. This must mean Morgan and Malmberg weren't fans of the Jason Momoa reboot last year, as it states "there are no plans for Momoa to return." They go on to quote Malmberg: "The original ended with Arnold on the throne as a seasoned warrior, and this is the take of the film we will make… It's that Nordic Viking mythic guy who has played the role of king, warrior, soldier and mercenary, and who has bedded more women than anyone, nearing the last cycle of his life. He knows he'll be going to Valhalla, and wants to go out with a good battle." Awesome, I'm down for a good Conan battle. This is the "direct link" back to the '82 Conan. This should be interesting to see, but before we get to that, Arnold is shooting another movie. David Ayers is filming Ten, an action drama about an elite DEA task force who find themselves being taken out one by one after they rob a drug cartel safe house. Schwarzenegger is playing one of the "ten" along with others like Sam Worthington, Joe Manganiello, Malin Akerman, Josh Holloway, Terrence Howard and Mireille Enos. He recently tweeted this first look photo of him in complete costume on set, saying "check out my look:"
Arnold's tweet said: "I'm having a great time working with @DavidAyerMovies on my new movie, Ten." Quite an interesting first look. Open Road Films is releasing, but doesn't seem to have set a release date yet. We'll be curious to keep an eye on this and see if he tweets any more photos from the set while shooting. Schwarzenegger is making quite a major return to acting after Governor and his affair scandal. He was just in The Expendables 2 this summer, stars in The Last Stand in January, and is also lined up in The Tomb. Now he's shooting this and has a Conan the Barbarian return coming up as well. What's next, a return as the Terminator? You never know. We'll have to keep an eye out for all of these, I'm actually looking forward to The Last Stand quite a bit, the first English-language film from Kim Jee-woon. Wrapping up the Conan announcement is this quote from Schwarzenegger: "I always loved the Conan character and I'm honored to be asked to step into the role once again. I can't wait to work with Universal and the great team of Fredrik Malmberg and Chris Morgan to develop the next step of this truly epic story." Bring it on. Your thoughts? Damn he looks great! Both in this and in The Tomb! He looks like Zaeed from Mass Effect. Yes, yes you are. IF you read the novels Arnies version are far closer to source material than Roni...I mean Momoa's Conan. Honestly Momoa has no acting skill (not to say Arnold does) HE can play that Ronin role which is NOT Conan the Cimmerian. "Honor and fear were heaped upon his name and, in time he became a king by his own hand...And this story shall be told....In 2014"
I normally don't use that word because I think it's way overused, but I think this deserves it: this is gonna be EPIC!! But I'll try not to get too excited over this, and I'll believe it when I see it. I'm down with that. the first was awesome. The second...alright. Wished he would have fought the statue instead of the glob with the horn. Legend is back! what a great news.thanks for greatest Arnie! 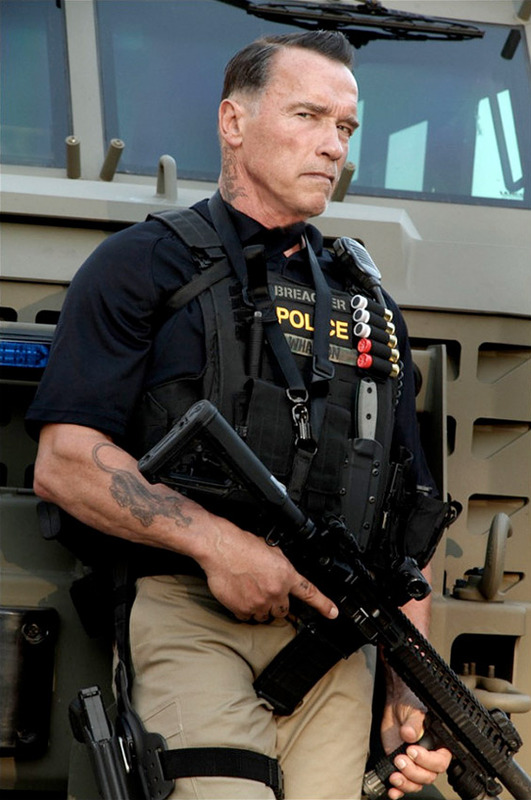 First time, I have ever seen arnie in a film without is own hairstyle. Damn i have missed him so much in movies. "This must mean Morgan and Malmberg weren't fans of the Jason Momoa reboot last year, as it states "there are no plans for Momoa to return."" Can't speak for Morgan, but Malmberg was very supportive of Jason: it's more likely that a combination of the 2011 film failing to recoup its costs combined with the financial possibilities of another Arnold Conan meant Paradox decided to cut their losses and go back to the Arnold pool. Awesome! Now I just hope that they rework the old Poledouris score. Keep the old Conan theme! They should call it King Conan and get John Milius to write it.